Medical care providers lacked standing under the Illinois Brick direct purchaser rule to bring an antitrust action against medical supply distributors and suppliers for purportedly using exclusive-dealing provisions, penalty provisions, and other anticompetitive behavior to inflate prices. The consumers could not show that all or most of the alleged overcharge for the products was passed on to them. Because there was not a single transaction between the health care providers, distributors, and suppliers, tracing overcharges to a specific source would be difficult. Thus, the case did not fall under the conspiracy exception to Illinois Brick, and was in fact based on a "pass-on" theory prohibited by Illinois Brick. The suit was dismissed with prejudice (Marion Diagnostic Center, LLC v. Becton, Dickinson, and Company, November 30, 2018, Rosenstengel, N.). Healthcare provider join group purchasing organizations ("GPOs"), which aggregate the purchasing power of healthcare providers and negotiate with medical supply manufacturers on behalf of its members. Once the GPO and the manufacturer agree on the terms of a sale, the GPO notifies the healthcare provider of the proposed, non-binding contract. Providers that agree to the net dealer contracts then sing distributor agreements with a medical supply distributor. After Marion Diagnostics Center, LLC purchased hypodermic products from Becton, Dickinson, and Company, it filed suit alleging that Becton, along with defendant GPOs Premier, Inc. and Vizient, Inc. and defendant distributors Cardinal Health, Inc., Owens & Minor Distribution, Inc., McKesson Medical-Surgical, Inc., and Henry Schein, Inc. were parties to a conspiracy to prevent competition and restrain trade through use of the net dealer contracts that employed penalty pricing rebate provisions and sole or dual source provisions. They filed suit for violations of the Sherman Act and the defendants moved to dismiss. Illinois Brick. The court first noted that although the Clayton Act broadly defines the class of private individuals who can bring Sherman Act claims, there are numerous doctrines that limit the right of private individuals to bring suit. In Illinois Brick, the Supreme Court set forth the "direct purchaser rule." 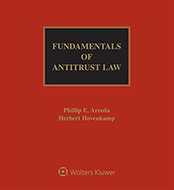 It found that indirect purchasers lacked standing to bring antitrust claims because the only way in which the alleged violation could have caused them harm would have been if all or part of the alleged overcharge was passed on to them, rather than being absorbed earlier in the distribution chain. 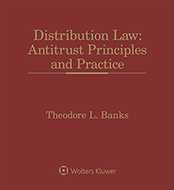 The court further ruled that giving indirect purchasers standing to assert "pass-on arguments" would leave antitrust defendants susceptible to double recovery. The Seventh Circuit has recognized an exception to this rule in cases involving conspiracies. In Fontana Aviation, Inc. v. Cessna Aircraft Co., 617 F.2d 478 (7th Cir. 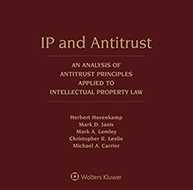 1980) the defendants both manufactured, sold, and provided financing to distributors and purchasers. The appellate court found that Illinois Brick did not preclude the plaintiffs from bringing suit because both the manufacturer and intermediary were alleged to have been co-conspirators and because the plaintiff was not merely an indirect purchaser, but a competitor alleging competitive injury. Vertical price fixing. In the instant case, the court noted that Fontana employed the conspiracy exception in the context of a vertical price-restraint, agreements involving parties at different steps of the chain to set high and low prices. The court found that in such cases, indirect purchasers may have standing because there is only one sale after the direct purchaser and manufacturer have agreed to fix prices. That was not the situation in this case. In the instant case, the distributors were the direct purchasers who passed on alleged overcharges as required by net dealer contracts that the distributors played no role in negotiating. The distributors played no role in setting the inflated prices, but rather only enforced the terms of the net dealer contracts. The distributors independently determined the additional costs they passed on to the consumers; those prices were not set pursuant to any conspiracy. Therefore, the court found it would be "infeasible" to calculate with any real certainty the portion of the upcharges that were due to market forces, rather than overcharges. The court found that the consumers in this case were asserting the "pass-on" theory prohibited under Illinois Brick and dismissed the suit with prejudice. The case is No. 18-CV-01059-NJR-RJD. Attorneys: Steven F. Molo (MoloLamken LLP) for Marion Healthcare, LLC, Marion Diagnostic Center LLC and Andron Medical Associates. Jacqueline P. Rubin (Paul, Weiss, Rifkind, Wharton & Garrison LLP) and Richard P. Cassetta (Bryan Cave Leighton Paisner LLP) for Becton Dickinson & Co. Terrence J. Dee (McDermott Will & Emery LLP) for Premier, Inc. Diane Green-Kelly (Reed Smith LLP) for Vizient, Inc. Michelle Karen Fischer (Jones Day) for Cardinal Health, Inc.
Companies: Marion Healthcare, LLC; Marion Diagnostic Center LLC; Andron Medical Associates Becton Dickinson & Co.; Premier, Inc.; Vizient, Inc.; Cardinal Health, Inc.